Eerie day. I drove off the interstate to explore Roswell’s Main Street. 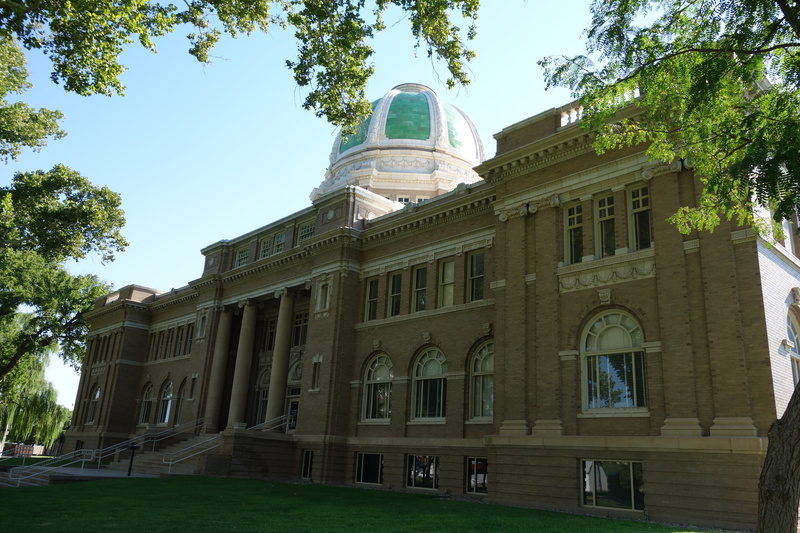 The city hall building was the most impressive structure between Arizona and Louisiana. No wonder extraterrestrials landed here. That’s quite a dome. The rest of the city looks dead, even for a Sunday morning. 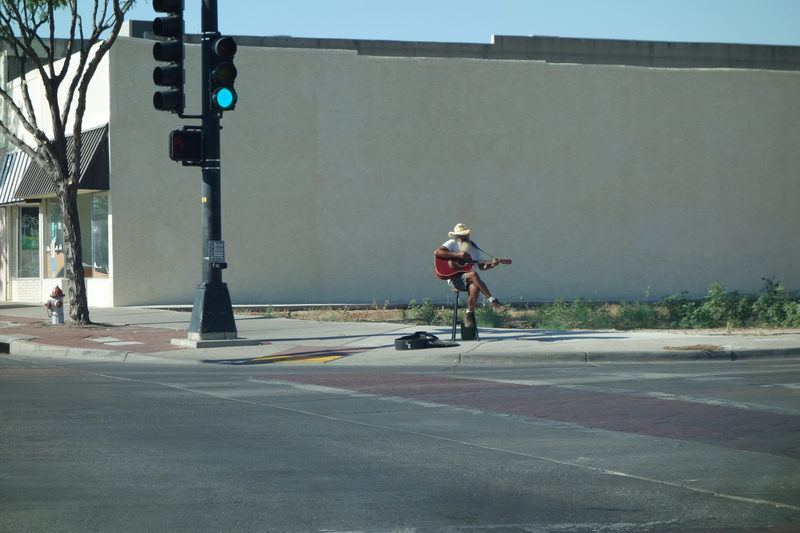 No human being in site except for this guitarist, case open, strumming on a street corner. 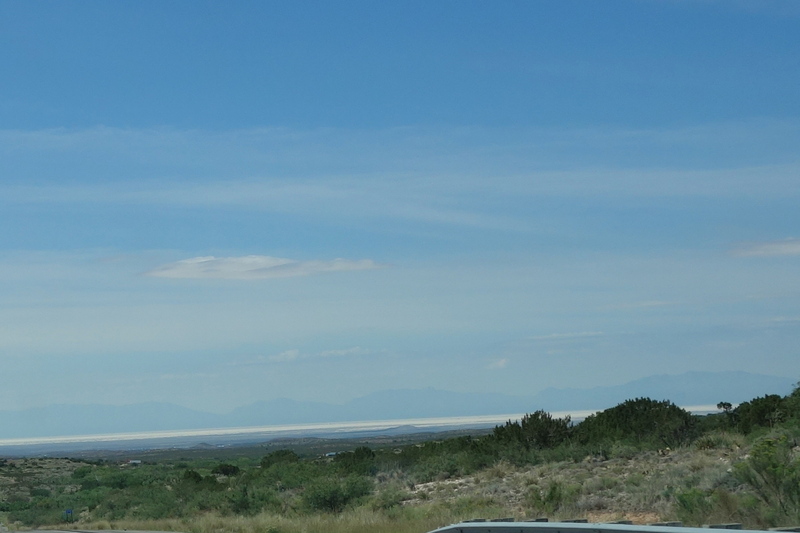 An hour later I crossed a mountain pass and saw in front of me the White Sands Missile Range. Somewhere not far off to the left of the photo is Trinity Site, where the first atomic device was detonated. Tonight, Las Cruces. Tomorrow, Phoenix. I live in Paradise Valley, near Phoenix. Let me know if you need and restaurant recommendations or any other info!